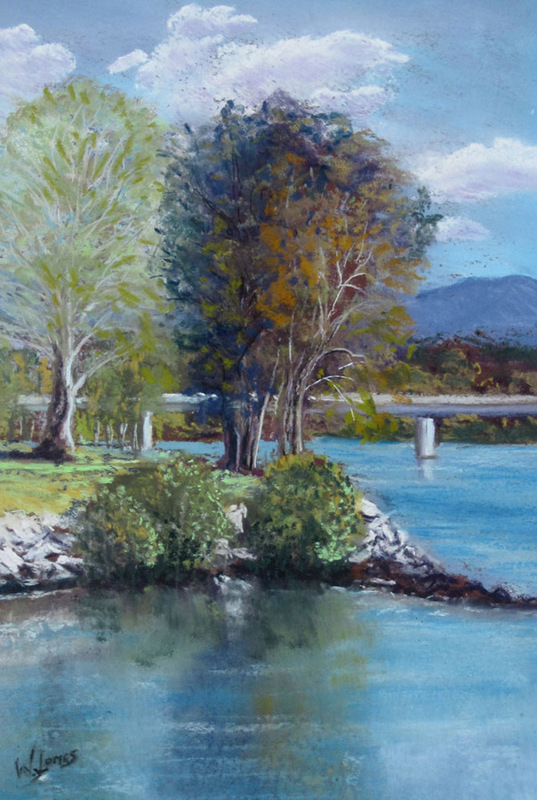 Warren was born in Goulburn NSW in June 1934. 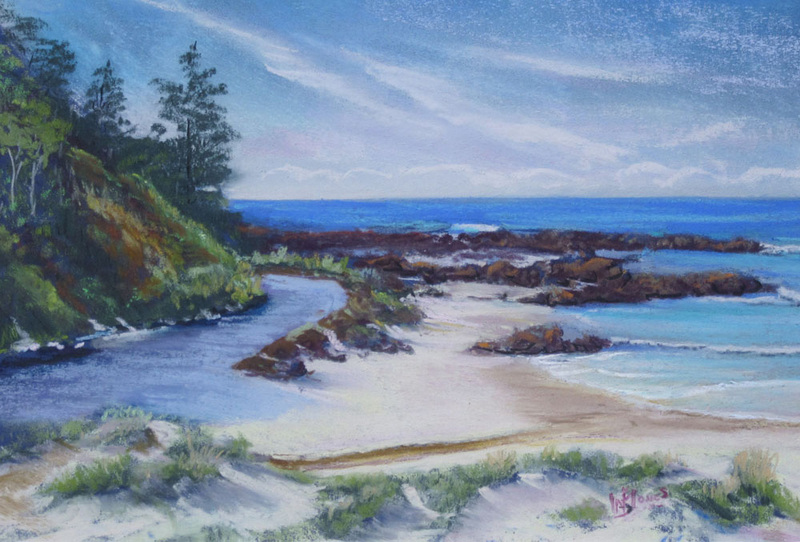 He Retired in 1994 and from Canberra he and his wife moved to Mossy Point NSW. 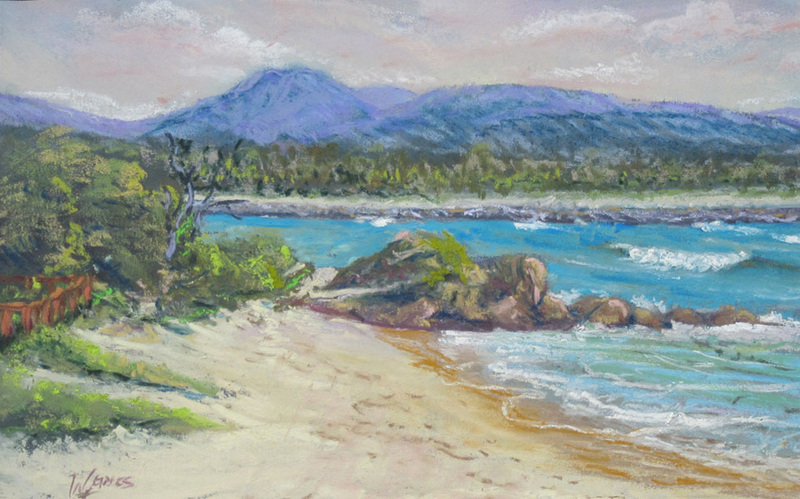 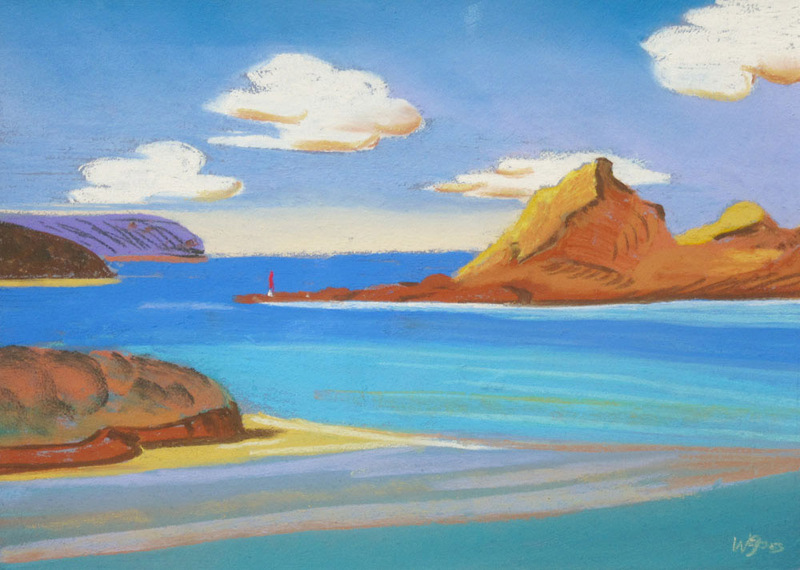 Warren commenced Pastel painting in 1996 and has attended many different media Work Shops in NSW conducted by Australian and International Professional Artists. 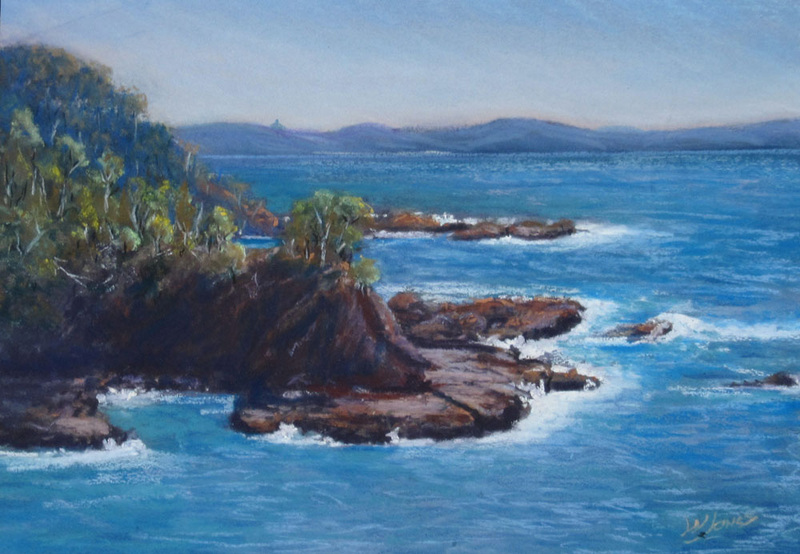 However his preferred medium is Pastel and enjoys painting Local Land and Sea scapes in plein air at the Societies weekly group paint outs. 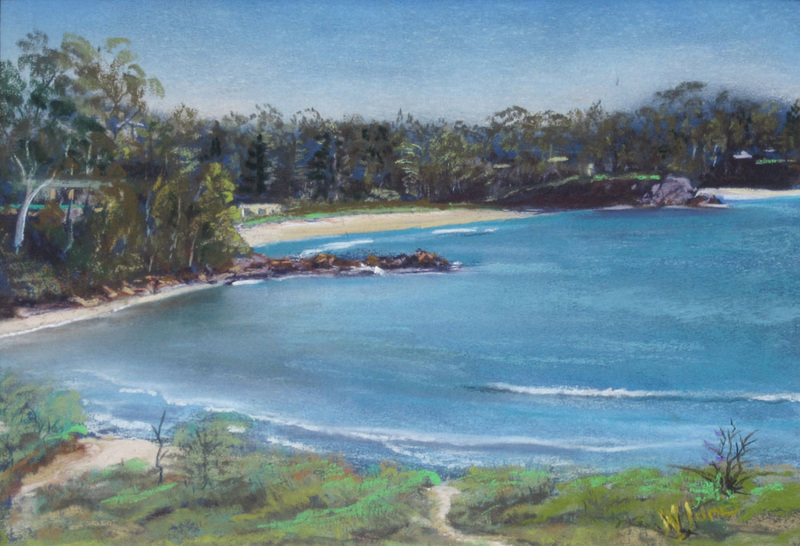 Warren’s clientele includes local residence of the South Coast and people holidaying in the Eurobodalla Shire. 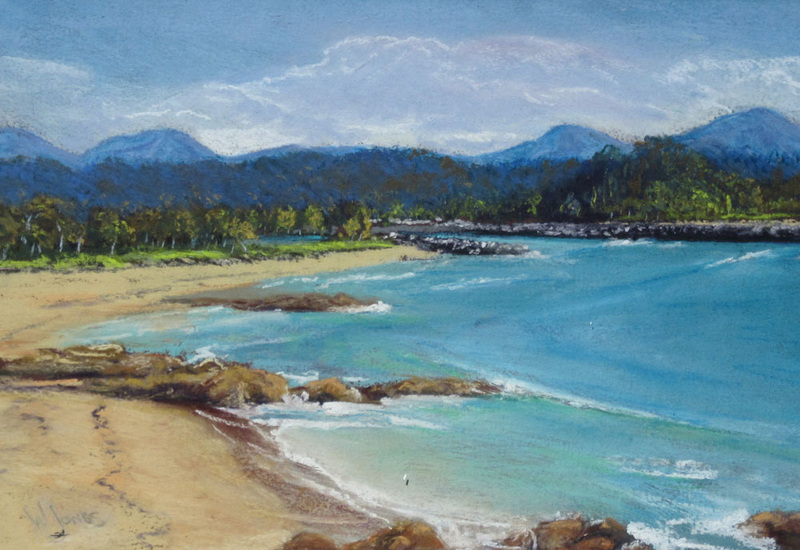 He has received commissions from people in Melbourne, Canberra Adelaide, Sydney, Brisbane, and visitors from Canada and the British Isles. 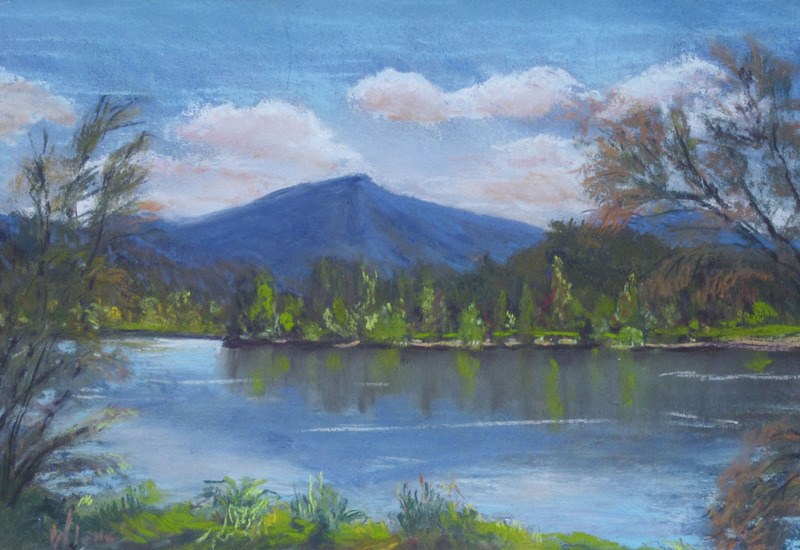 These commissions have been very rewarding and inspires him in his love of Pastel painting. 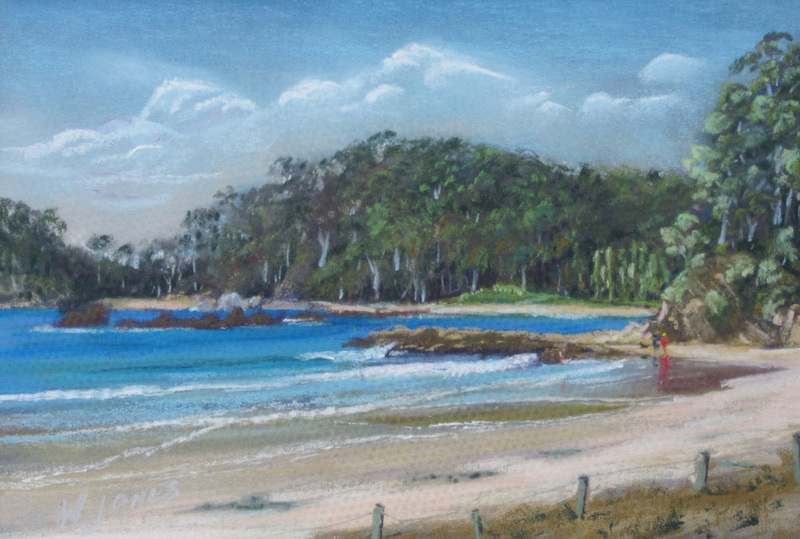 Warren also displays and sells his work regularly at the Art on the Path” Markets at Broulee. 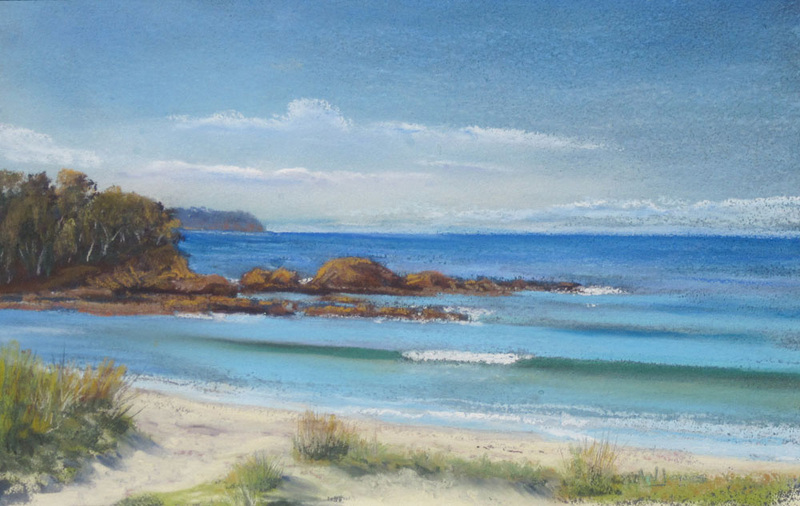 McKenzies Beach with Jimmys Is.